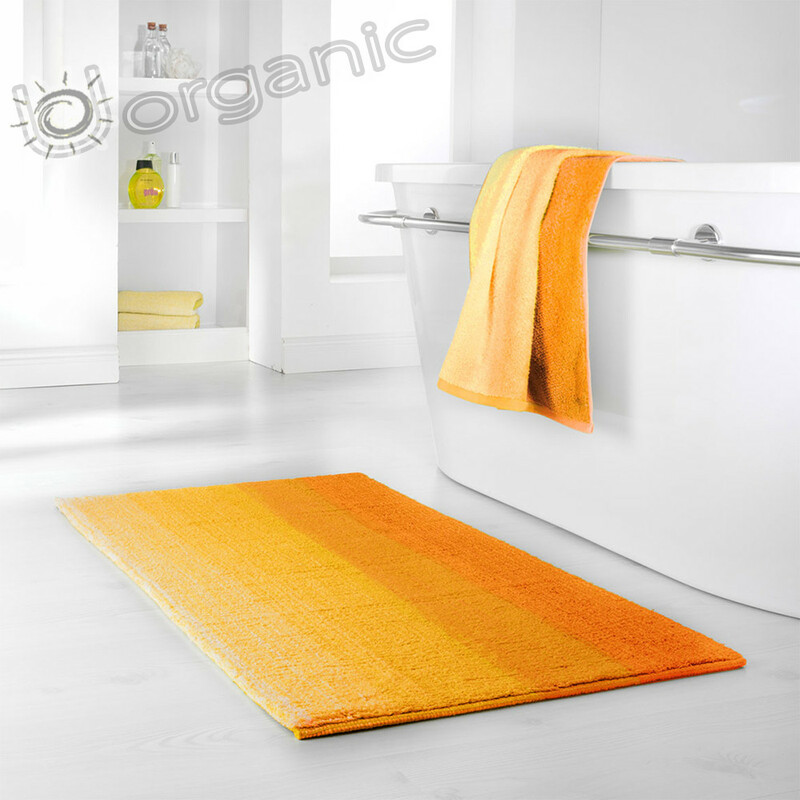 The Colori range offers a trendy colour-gradient look which will make your bathroom look absolutely stunning. Not only does it look fantastic but it's also made of 100% organic cotton and gives you a soft feeling under your feet. Organic cotton production is natural, renewable and biodegradable and is manufactured without the use of toxic and carcinogenic chemicals. So therefore it stops us from inhaling or absorbing chemical toxins through the skin which may cause allergies, skin rashes or respiratory problems. Organic cotton also helps protect the water supply and protects the workers as they are not exposed to toxic chemicals. Available in 6 different colours. Copyright © 2016 - UOrganic | All rights reserved.